Kerala Pareeksha Bhavan (KPB) is going to organize the Secondary School Leaving Certificate (SSLC) Examinations in the month of March. All the students who are pursuing in Kerala can check the 10th/SSLC Exam date sheet 2019 from the KPB Official website. Keralapareekshabhavan.in. The KPB is going to conduct the academic examinations in the month of March 2019. Students who are going to attend the exams must require a good preparation to clear the exams with good percentage. To attend the Kerala SSLC examinations, students must download the hall tickets. The hall ticket will be accessible at KPB Official website before the examination. Hence all the students must be alert to download the hall ticket when the link is active on the KPB website. 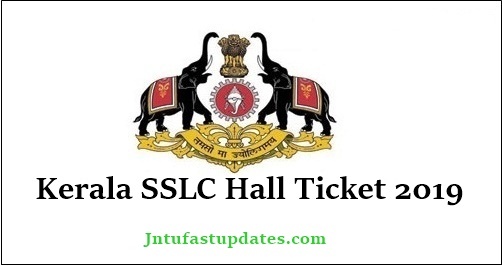 As the hall ticket is the most essential document to carry to the examination, all the students who are going to attend the SSLC exams in Kerala must download and keep the hall tickets safe to carry to the examination. Kerala Pareeksha Bhavan controls the secondary education system in Kerala. The KPB monitors various education patterns such as Secondary Leaving Certificate, Technical High School Leaving Certificate and Art High School Leaving Certificate (SSLC/TSCL/ASCL). Usually, the academic examinations will be conducted in February/March months every year. Lakhs of students pursuing under these courses appear for the exams as per the scheduled dates. The results of these examinations will be released in April/May months. Presently, students undergoing the SSLC course in Kerala can check the details of hall ticket and other details from the following article. Enter required info like entering school code, etc for download SSLC Hall Tickets. Click on download. Hall Ticket will appear on your device. Save and take print of your Hall Ticket. Keep a copy of Kerala SSLC/10th Class Hall Ticket 2019 for future reference.